This Five Points area condo received a much-needed face lift throughout the home. 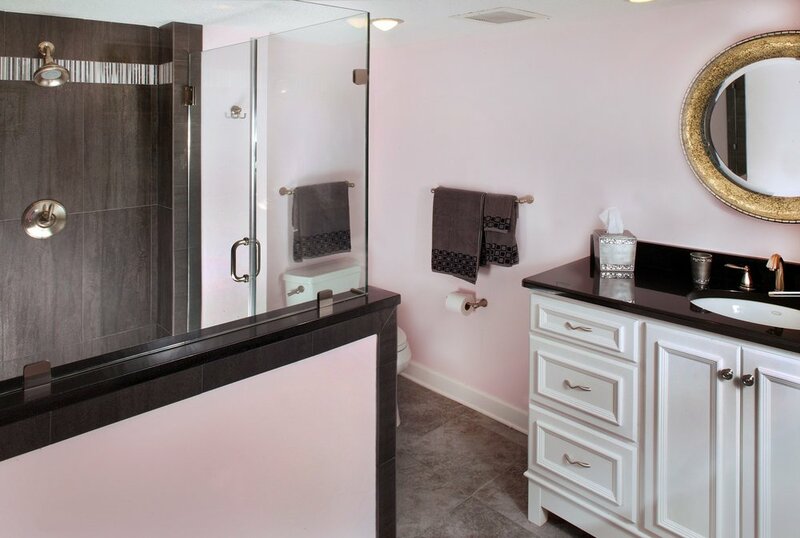 The black and dark grey tones used in the ensuite offset the white cabinets perfectly. 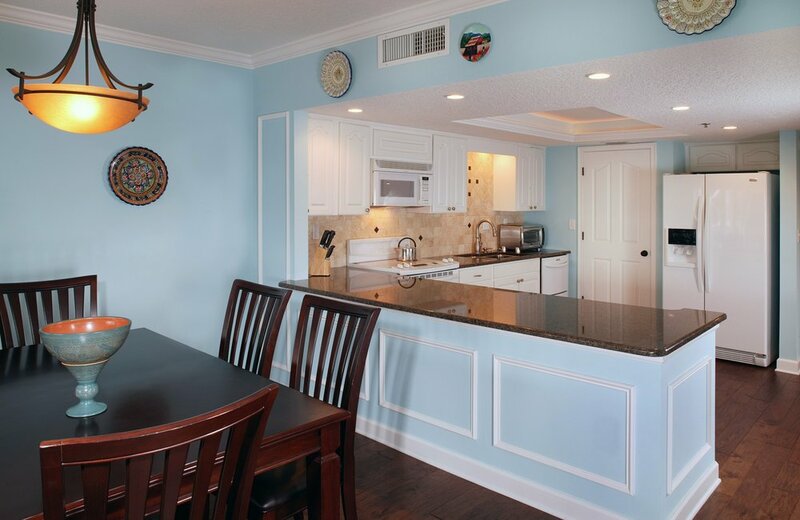 The hardwood floors throughout the condo pair well with the traditional white cabinets in the kitchen, as well as with the soft blues used in the living area. The unobstructed view of the river allow for a truly unforgettable view.